I know a number of folks will be having ‘fried turkey’ for the holidays instead of the traditional baked. That leaves us wondering – What do I do with all the used oil/grease now? The city of Dallas has a special ‘Cease the Grease’ program and Mesquite has one of the drop off points located at Eastfield College . It is located in the SE corner of the W2 parking lot which is between building G and L (follow the signs). Put the oil/grease back into the plastic bottle you purchased it in and place it in the ‘Cease the Grease’ cabinet. JFK Activities Nov. 23th – 10 a.m. to 4 p.m. 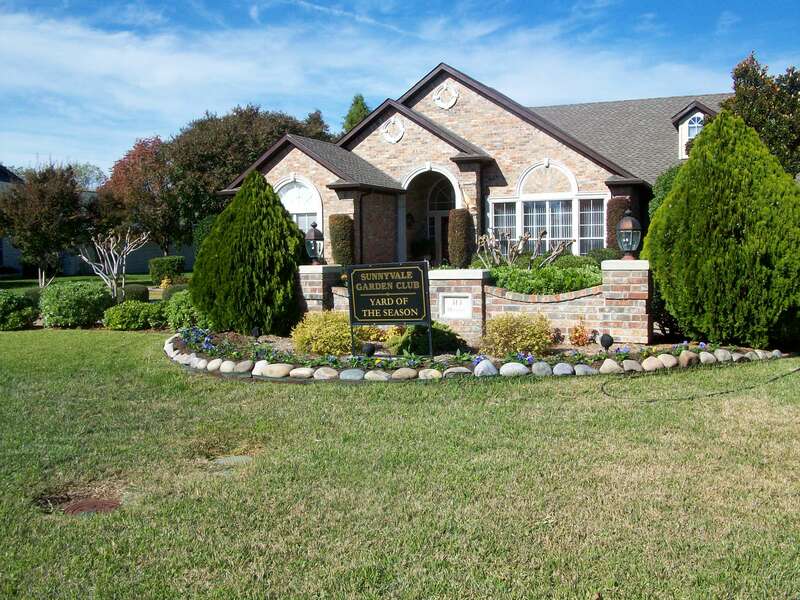 The Sunnyvale Garden Club will participate in JFK Day activities at the Sunnyvale Public Library on Saturday, Nov. 23, from 10 a.m. to 4 p.m. SGC will be selling 6 ½ in. Poinsettias and baked goods. Sallyann Nevins, SGC President, needs volunteers to help with the table and to bake homemade cookies, pies, cakes …anything appropriate for a bake sale. In the event of inclement weather, activities will be moved indoors. 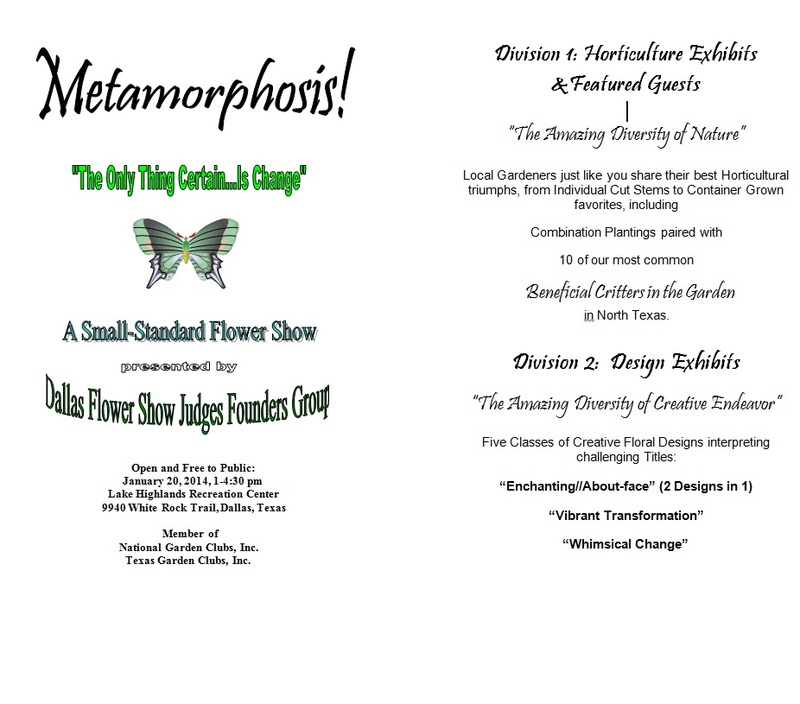 If you can provide baked goods or time, please contact Sallyann at 972 226 1315 or gn@txshowcar.com. 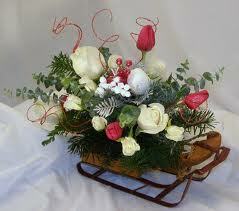 McShan Florist* Professional Florist creates the newest designs for the holidays. Focus on design mechanics and selection of materials. Purchase your ticket (s) for our Christmas Luncheon scheduled on December 10th. The price of the tickets is $30. Deadline for purchasing tickets is December 1st. Start seeds for plant exchange in April. 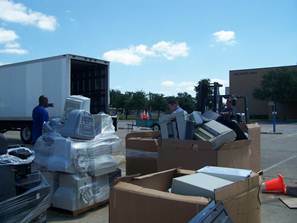 Keep Mesquite Beautiful (KMB) and the City of Mesquite host their semi-annual Recycles Day event on Saturday, November 9th from 8 a.m. – noon at Poteet High School, 3300 Poteet Drive in Mesquite. For more information contact KMB at 972-329-8331 or kmb@cityofmesquite.com. A document destruction truck will also be available on site. Shredding will be done off-site through Greenstar Security Destruction, a NAID (National Association of Information Destruction) certified company. Commercial office waste and household hazardous waste will NOT be accepted at this event. All household hazardous waste (i.e. paint cans, pesticides, and motor oil) must be taken to the Dallas County Home Chemical Collection Center located at 11234 Plano Road, Dallas, Texas 75243.